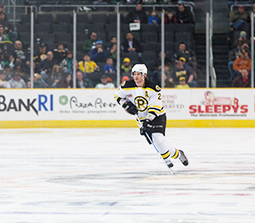 Head over to the Dunkin&apos; Donuts Center for some hockey fun! Tickets are $20 - $30 and are buy one, get one free! The game starts at 7:05 p.m. but be sure to get there early for a hot dog or even some pizza. Order your tickets online to get the special deal. If sporting events are not your thing, why not check out a comedy show over at Comedy Connection. Orlando Baxter will be there on Friday and Saturday at 8 p.m. to give you some laughs. Rock, then bowl, this weekend at the Hope Artiste Village in Pawtucket. Local music legends Max Creek will be playing at The Met at 8 p.m. After you catch the show you can head over to BreakTime Bowl and Bar for some duckpin bowling. This recently restored bowling alley is a throwback to the 20s, and they&apos;re open until midnight. 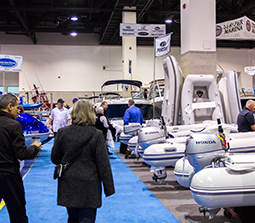 The 22nd Annual Providence Boat Show is docked at the Rhode Island Convention Center for three days. Climb aboard boats big and small, learn from the pros at interactive seminars, and enjoy some special events like watching the Volvo Ocean Race and learning how to cook your own catch. Hop on board the Rhode Island Brew Bus and enjoy a personal tour of three different breweries in the Providence area. Drink some delicious local drafts while learning how your beer is brewed. End your tour at Trinity Brewhouse and enjoy 20 percent off your meal. If Sunday is family day, enjoy some time with yours while visiting the Roger Williams Park Zoo, which is open for their Winter Wonder Days. 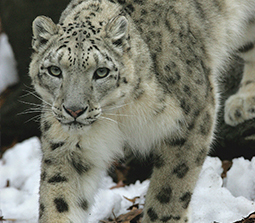 Admission is half-priced and there are plenty of cold-weather animals to check out. If you prefer the great indoors, the Providence Children&apos;s Museum is open on Sundays from 9 a.m. - 6 p.m. Their newly renovated Water Ways exhibit is perfect for all ages. Play, splash and learn all at the same time. You&apos;ve read the book and you&apos;ll see the movie so why not see the play? "Spank!" is a parody of the best-selling novel "Fifty Shades of Grey." Check out this hilarious comedy at the newly-renovated VETS. Show starts at 7 p.m.
And of course you can&apos;t forget Providence Restaurant Weeks, which is running through Sunday. Be sure to check out our website with a list of all participating restaurants. Check in next week to see what other fun things are happening around town.